Looking for the purr-fect sitter? Hi, I’m Susan. Owner. Founder. Pet lover. Dog walker. Cat sitter. Plant whisperer. Proficient in meow-meow and woof-woof. An animal lover of all kinds—they have been a part of my family my whole life. Caring for them is a privilege and a passion. My previous pets include a horse, a bird, rabbits, mice, hamsters, guinea pigs, lizards, turtles, fish, and snakes. Currently, I’m the proud mama of a cat with a major attitude, Linus. An avid gardener, I have earned the title, “Flower Lady”, in the neighborhood. I practice organic principles as much as possible while caring for pets and plants. We have a soft-spot for senior pets, special needs pets, unusual pets, and, of course, puppies and kittens. We are dedicated to continuing education and skill as a professional pet sitters and sharing our knowledge to improve the lives of animals. Sit. Stay. Grow. has donated to local ‘no kill’ shelters. Our company is female-owned and operated. We are a local small business headquartered in Columbus, OH. DAILY OR WEEKLY DOG WALKS? MIDDAY BREAK FOR THE POOCH? 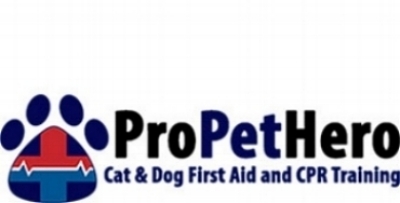 All pet sitters, dog walkers, cat sitters, home sitters, plant and garden waterers are vigorously-vetted using character references, federal and multi-state background-checks, and in-person interviews. All are bonded, have pet-sitter insurance, and have positive backgrounds with animals. A pet sitter’s license is not yet offered in Ohio but, when it is, we will be first in line to get one. You will have an opportunity to meet your hand-selected sitter at a FREE consultation prior to any paid service. We also offer FREE estimates. Sit. Stay. Grow. currently offers services in Hilliard, Clintonville, the Hilltop, Galloway, Grove City, Urbancrest, Groveport, Obetz, PIckerington, Gahanna, Polaris, Westerville, Worthington, Dublin, Upper Arlington, Grandview Heights, Downtown, the Short North, the Campus area, Whitehall, Bexley, and most of Franklin County. See our ad in Pet•Cetera Magazine and Saturday’s Dispatch. We are accredited by the Better Business Bureau with an A+ rating.